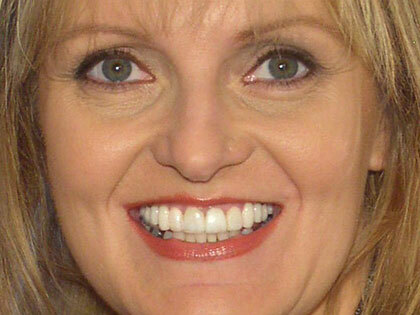 Both dental implants and bridges can be used to restore your smile after the loss of one or more teeth. The choice is generally a personal one, but there are a few differences between the two options that can help you make the decision that is best for you. Our skilled dentists, Dr. Coleman and Dr. John, can provide guidance during your initial consultation, and there are factors you can weigh on your own as well. 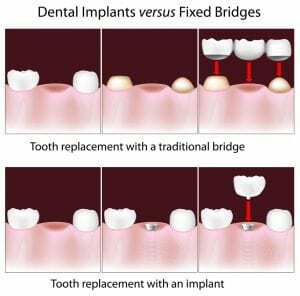 One of the biggest differences between dental implants and bridges is the procedure experience. While dental implants can seem like a more involved process to some, dental bridges are typically the less conservative approach. Bridges require filing down teeth to use as supports on either side of the bridge. This generally is less of a concern if the adjacent teeth require fillings or dental crowns already. Furthermore, maintaining excellent oral hygiene is very important to preserving the dental bridge over time, as cavities can develop underneath and lead to bridge failure. 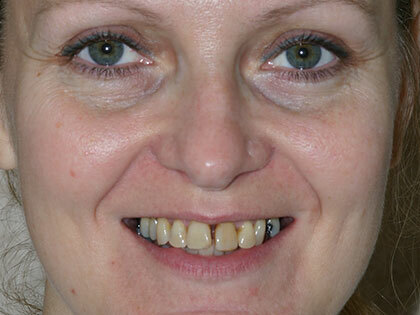 Having said that, bridges and implants are both durable and offer natural-looking results. Bridges tend to be more affordable in the short term, while dental implants are more cost-effective in the long term, as they typically last longer. Additionally, there are many subtle differences that will vary depending on your unique situation, and you may want to discuss those concerns with one of our dentists. We offer both of these treatments at our office, and we are dedicated to giving you all the information you need to make the right choice for your needs and goals. Come talk to us, and we’ll help you find a solution that works.